Congratulations to Department of Psychiatry AUPOA Research Fellow Dr Terry Chong who was recently inducted into the University of Melbourne Academy of Clinical Teachers.Members of the Academy share the following characteristics:They have made a substantial and valued contribution to the University’s medical education programs over a significant period of time;They are recognised as excellent, dedicated, committed and passionate educators;They serve as role models for all clinicians who teach;They provide advice to the School on matters relating to clinical teaching, student assessment and program evaluation.Please click here to find out more about the University's Academy of Clinical Teachers. 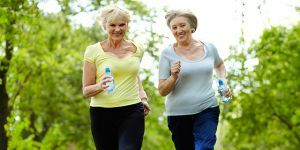 The International Research Network on Dementia Prevention (IRNDP) has developed a useful factsheet on physical activity and cognitive or brain health that is now available in six languages (English, Spanish, Chinese, Italian, Greek and Arabic).Please click here to access the factsheets. AUPOA's Dr Anita Goh has been selected as one of Science and Technology Australia's 60 'Superstars of STEM'Please click here to view Anita's profile. 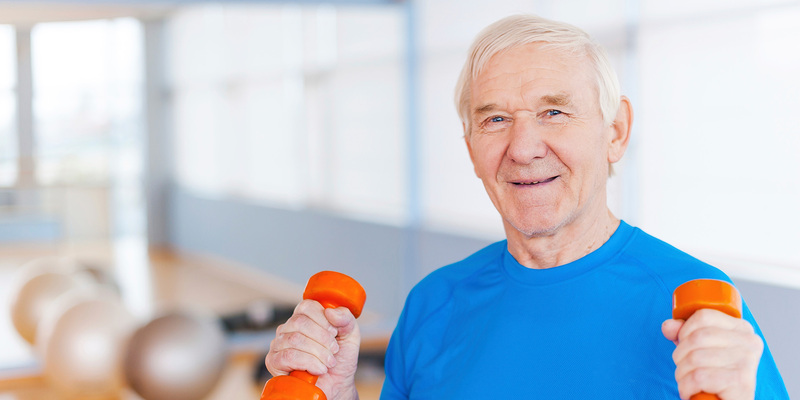 A recent article in The University of Melbourne's Pursuit publication highlights the Physical Activity Guidelines that have recently been developed by AUPOA Researchers for those with mild cognitive impairment (MCI) or subjective cognitive decline (SCD). The article provides an interesting summary of the Guidelines and some background information about how and why these have been developed. Please click here to access the article. Depressive symptoms are common among people living in Residential Aged Care Facilities (RACFs), affecting up to 50% of residents. Despite being common, the presence of depressive symptoms can be difficult for care staff to detect and, when depressive symptoms are identified, treatment often does not incorporate potentially safe and effective non-pharmacological interventions.There is good evidence that staff training can help staff to recognise depression and improve approaches to management. The BAN-Dep trial will use the beyondblue Professional Education to Aged Care (PEAC) package, which addresses issues related to depression, anxiety and suicide among older adults living in RACFs. BAN-Dep will also test an approach to treating depressive symptoms called Behavioural Activation (BA), which has shown promise in being effective and well accepted. In BA, RACF staff will work together with the resident to identify and treat depressive symptoms through behaviour change and activities. The University of Melbourne's online publication Pursuit has published an article titled 'How robots can reach out' which details AUPOA Researcher Dr Samantha Loi's recent work with robots designed to help people with dementia. Please click here to access the article. Professor Nicola Lautenschlager was appointed as the Director of Research and Research Training for Melbourne Medical School, Faculty of Medicine, Dentistry and Health Sciences, The University of Melbourne in January 2018. AUPOA Researcher Dr Anita Goh appeared on Triple R's Einstein A Gogo program on Sunday March 4th to discuss dementia care and early detection. Please click here to listen to the interview. Congratulations to AUPOA researcher Dr Anita Goh, who was presented with the Peter Como Scholar Award at the Huntington Study Group meeting in Denver, Colorado in November 2017. Professor Nicola Lautenschlager (Director of the AUPOA) has has completed her term as Editor-In-Chief of International Psychogeriatrics, the official journal of the International Psychogeriatric Association (IPA). Congratulations to AUPOA researcher Dr Alex Bahar-Fuchs who has received a National Health and Medical Research Council (NHMRC) Boosting Dementia Research Leadership Fellowship for his project on 'cognition-oriented treatments for older adults on the spectrum from cognitive health to dementia: improving methodologies and outcomes'.This Fellowship commenced in September 2017 and will run until August 2021.For more information regarding this and other dementia related projects that have received NHMRC funding this year, please click here. The Global Council on Brain Health (GCBH) launched its most recent report, Engage Your Brain: GCBH Recommendations on Cognitively Stimulating Activities. The full report and associated infographics can be reached via the hyperlinks or online at www.GlobalCouncilonBrainHealth.org. Alzheimer's Australia have released a revised version of the Dementia and Depression Q&A helpsheet in collaboration with Professor Nicola Lautenschlager, Dr Eleanor Curran, and Dr Terry Chong from AUPOA. Please click here to view the helpsheet. Dr Eleanor Curran, a lecturer at the AUPOA, spoke with Libby Gorr on ABC Radio Melbourne about Cognitive Health. To listen to the podcast, please visit the ABC Radio website or click here. AUPOA research fellow Dr Terence Chong presented alongside Amelia Suckling (Alzheimer's Australia Vic), and Dr Malcolm Clark (Medical General Practitioner) at Manningham Council's 'Dementia: prevent, live, plan', community awareness session on Wednesday 5th April 2017. The Melbourne University Academic Unit for Psychiatry of Old Age (AUPOA) is looking for volunteers to join the RAPID-plus trial, a study testing a new approach to treating depressive symptoms in people with Alzheimer’s Disease and their carers. Staying socially engaged with a wide circle of friends and family may help maintain our thinking skills and slow cognitive decline as we age, according to a report released 14th February 2017 by the Global Council on Brain Health (GCBH). A new report from the Global Council on Brain Health (GCBH) gives tips and recommendations on sleep to help maintain and improve brain health. The AUPOA’s Huntington’s Disease (HD) research team attended the Monash HD Research Day on Friday 9th December 2016. At the research day, researchers and medical professionals presented and discussed current research outcomes with a focus on epigenetics and environmental factors contributing to symptom severity in HD. Associate Professor Kathryn Ellis, Deputy Director of the Academic Unit for Psychiatry of Old Age (AUPOA), University of Melbourne, presented her research examining the influence of built environments on health outcomes at the National Ageing Research Institute (NARI), Melbourne Health (MH) and AUPOA Royal Park Research seminars and Clinical Meetings Program on Tuesday 22nd November 2016. Dr Terence Chong, a research fellow at the AUPOA, spoke with Andy Maher on SEN Afternoons about Anxiety. To listen to the podcast, please visit the SEN website or click here. Ronald Petersen, one of the world's foremost experts in Alzheimer's disease, was interviewed on ABC radio earlier this week, where he discussed the need for Australia to develop a national dementia strategy. September is Dementia Awareness Month, an initiative of Alzheimer's Australia which aims to give Australians a better understanding of what it is like for a person to live with dementia. It also highlights the importance of early access to services and information for people impacted by dementia. The Global Council on Brain Health (GCBH), an independent collaborative of policy experts, doctors, and academics, including AUPOA Unit Director Professor Nicola Lautenschlager, has published the first evidence-based consensus report on physical activity for brain health. The Global Council on Brain Health (GCBH) had its first meeting of issue specialists in Vancouver (Canada) in April 2016, to examine the impact of physical activity on brain health and discuss how to disseminate these findings to the wider community. A new national centre to research cognitive health, to be based at the Australian National University (ANU) with a second leading site at the AUPOA (The University of Melbourne), was launched on the 15th of June 2016 by ANU Vice-Chancellor, Professor Brian P. Schmidt. Dr Terence Chong was recently interviewed by Dr Shane on the 'Einstein a Go-Go' show on 3RRR. The National Ageing Research Institute (NARI) have published a short article on their website featuring an interview with a past INDIGO participant and current mentor. Are you interested in assessing your dementia risk? The Centre for Research Excellence (CRE) in Cognitive Health will be officially launched at a public forum held at the National Museum of Australia located in Canberra (ACT), on June 15th, commencing at 10am. A range of speakers will be presenting on the day, including Prof Kaarin Anstey, Director of the CRE in Cognitive Health. Staff from the AUPOA attended the International RANZCP Congress of Psychiatry, held in Hong Kong from 8-12 May 2016. View Professor Nicola Lautenschlager's latest lecture at ANU about protecting the brain with exercise. Dr Samantha Loi, a member of the AUPOA, is the 2016 recipient of the Issac Schweitzer Travelling Fellowship. Dr Schweitzer was a psychiatrist committed to research and teaching, and an outstanding clinician, who was passionate about working and studying overseas. Thank you for visitng the Academic Unit for Psychiatry of Old Age. As a friend and supporter of this centre, you will help create groundbreaking research, and build important partnerships and support community engagement. View the various partnerships and collaborations of AUPOA. Healthy ageing involves engaging in opportunities and positive steps so that middle-aged and older adults can optimise their health outcomes and enjoy a high quality of life. Within, you will find a range of resources that may provide you with the information you need, in order to age well. View some of our resource materials and how to obtain them.